Please visit our Advertise With Us page to see the different listing & banner packages offered by PhiladelphiaHauntedHouses.com. If one of our ad packages seems like a good fit please please read the guidelines below and enter the event information. Please note that submitting an event does NOT guarantee it will be added to our site. Any questions or to find out about custom ad opportunities & partnerships please call 888-228-5265. 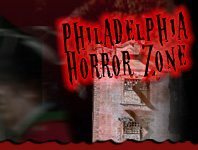 We ask that you link your website to PhiladelphiaHauntedHouses.com from a page easily accessible from your haunt's home page. We offer a few suggestions on banners and text links to make it quick and easy. NOT LINKING BACK TO PHILADELPHIAHAUNTEDHOUSES.COM CAN RESULT IN YOUR LISTING BEING REMOVED FROM THE SITE.